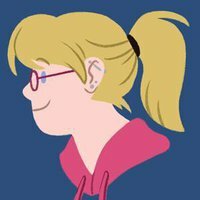 Kristin is a freelance storyboard artist, illustrator, and animation artist. She graduated from the School of Visual Arts with a major in Traditional Animation. Some of her past projects have included storyboards for Nivea, Nescafe, Snapple, and Nascar, as well as illustrating the children's book "Ned & Rosco," an adorable story about a turtle and a puppy learning to get along. She loves cartoons, animals, urban exploring, video games, and toy collecting. Please feel free to contact her about any freelance inquiries!